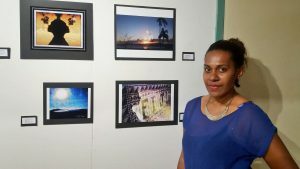 Mere Rasue is from Lautoka, in the western side of Fiji and began as an artist at the Oceania Centre, University of the South Pacific, Suva in February,2015. 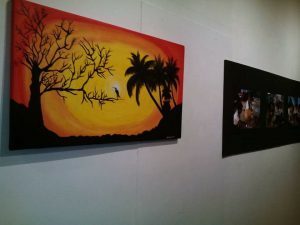 Her media of choice are drawing, painting, photography and editing. Her interests lie in manipulating size, perspective and the context of images through her photography to challenge the viewers understanding of the world. She uses intricate details and repetitive patterns within her drawing and painting, appropriating traditional patterns into her contemporary form. She strongly believes that everything starts at home and is glad that she has exposed her three young daughters to the creative world as she believes every one holds creative potential but must find their personal style of expression.